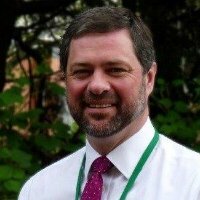 David Hill has been named as the new Chief Executive of South Oxfordshire and Vale of White Horse district councils, to replace David Buckle when he retires later this year. David is currently chief executive at Humber NHS Foundation Trust and has 18 years of local government experience including six and a half years as a council chief executive and a period as strategic director at South Oxfordshire. The appointment, which was ratified by councillors this week, follows a rigorous selection process involving interviews with panels of stakeholders, leading councillors and senior staff. Cllr John Cotton, leader of South Oxfordshire, said: “David will be joining the councils at a very exciting time for local government in the county. With the wealth of local government experience and insight he will be bringing to the role along with his previous knowledge of both districts he is without doubt the right person to lead the councils through the challenges we’ll face and to bring further improvements to services.